A gentle soul who touched many lives, Doris Helen Conrad was a vibrant servant throughout her lifetime. Never one to seek anything in return, she freely gave so much of her time and resources to others. A talented nurse, loving mother, devoted partner, and loyal friend could be found in Doris’ warm personality. Anyone who knew her was touched by her faithful presence and caring ways. 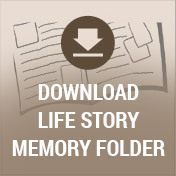 Her wonderful collection of memories will surely be cherished for generations to come. 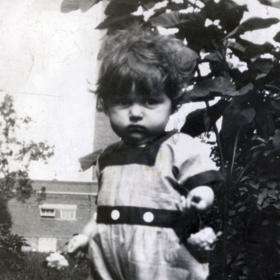 Her journey began in the year 1929 in Milwaukee, Wisconsin. Reflecting on these times, it was a period of economic uncertainty with a distinctive cultural edge, aptly giving the decade the name of the Roaring Twenties. With the media focused on jazz music and celebrities, especially sports heroes and movie figures, James and Lydia Banker (nee Filipiak) welcomed home their newborn daughter, Doris the first of their two children on January 20th. Born to a self-employed owner of Hillcrest Garage and a homemaker, her birth brought great joy to her family when the country was entering an era of difficult times. Her childhood was typical of the times. Doris developed a strong love for reading at a young age, which continued throughout her life. Spending time in nature as a child, she also developed a love for flowers and birds. Her vocational calling to become a nurse was also evident from her childhood years where she enjoyed helping to care for family members when they were ill. Graduating from Mercy High School, she was eager to start nursing school at Marquette University. 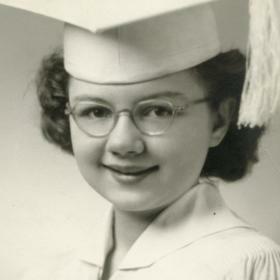 Obtaining her Bachelors of Science in Nursing by 1951, she went on to receive her Masters in Nursing in 1955. Her first assignment was at the Children’s Hospital in Milwaukee where she was known to build a quick rapport with her young patients. With a knack for teaching, she taught nursing classes at Marquette where she would meet her lifelong friend, Mary Jane Doney. Later, she taught at the Milwaukee Area Technical College and Cardinal Stritch University where she helped establish a two year Associate Degree in Nursing (ADN), program. A beautiful tapestry adorned her home for many years from her time spent there helping a Laotian student.  During these early career years, she met her first husband, Ralph Jones who sadly succumbed to a brain tumor within six months of their marriage. Doris met Gerald Conrad through mutual friends. 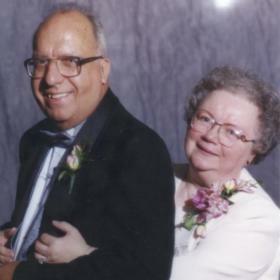 Their love for each other grew and they were married on August 8, 1964, at St. Vincent de Paul Catholic Church. Eager to settle down, they purchased a home on North 73rd Street where they raised two wonderful children; Tom and Mary. Doris was the epitome of being a mother. Her love was unconditional, steadfast, and unwavering for her children. She loved nothing more than to nurture them through their many years of schooling well into their adulthood. Even while Tom was pursuing his degree in nursing, she was known to prepare his favorite dinner on his busiest of nights. He was honored to have Doris pin him during a memorable ceremony after completing nursing school. Her rich and wonderful support didn’t stop with her own children, she loved Tom and Mary’s spouses as well. She was delighted when Beth joined the family knowing that her son was in good hands. Doris would often tease Mary when referring to her husband, Mike that she was, “so glad we married him!” Her heart was all the richer when grandchildren arrived! Doris loved to spend time with both Marissa and Matthew. Holidays were always a favorite time for Doris to show her love for her family as well as birthdays which were always complete with homemade cake! Her favorite tradition was spending time with them at Ephraim Shores on one of their Door County vacations over the years. Retirement afforded she and Gerald many opportunities to pursue their interests. They both enjoyed traveling to many places including Hawaii, Washington, Florida, several trips to Missouri to see Lawrence Welk, England, Mexico, and numerous countries in Europe and to Alaska for an Alaskan Cruise! Each and every vacation, she’d purchase a Christmas ornament to add to her growing collection! Cooking classes filled their time as well as trying out new restaurants around town. Doris was a connoisseur of many things, in particular, ice cream! Season ticket holders to the MU Basketball games, they loved to cheer on their Alma Mater, remaining loyal fans win or lose! Although she always watched the news and read the paper to stay informed, when it came time to watch TV or see a movie, she always picked a comedy reasoning that life had too much violence and drama! Without fail, Doris looked forward to meeting up with Mary Jane, Ginny, and Lois for their monthly “Just Us Girls” luncheons and shopping dates. An avid reader, she attributed her love of reading for her fierce success in playing Scrabble over the years. Doris was very practical and realistic, knowing that life was not always perfect. She embraced every challenge with her undaunting faith and drew on her knowledge and belief that God never gave her anything that she couldn’t handle. Nothing would test her faith more than her continuous struggle with health issues from lung surgery from the time Tom was a baby, to a serious car accident in her mid-fifties, to a battle with breast cancer in 2000. Life, however, was never quite the same for Doris after Gerald passed away in 2009 and her dementia progressed over the years. A caregiver her whole life, Doris lived her life with an immense generosity and compassion for others. Her legacy of being an exceptional role model and faithful servant will be treasured by her many special friends and loved ones. 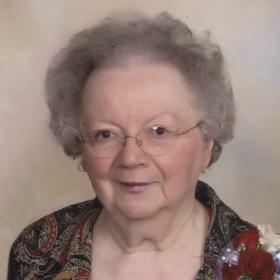 Doris H. (Banker) Conrad age 88 of Manitowoc, formerly of New Berlin, passed away peacefully with family by her side September 7, 2017. 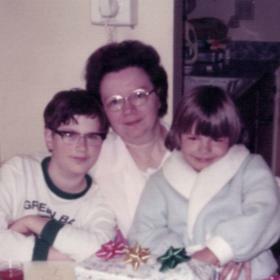 Doris is survived by her son, Tom (Beth) Conrad and her daughter, Mary (Mike) Butler, as well as two grandchildren, Marissa and Matthew Butler, and a brother Donald (Carol) Banker. Doris is further survived by a niece, nephews, cousins, and many friends and relatives.She was preceded in death by her husband of 45 years, Gerald, in 2009. Her parents James and Lydia Banker. Her father-in-law Clarence Conrad. A brother-in-law and sister-in-law, William and Anita Heffernan. The family would like to thank the Holy Family Memorial Hospital Staff, Dr. Herring, and all of the staff at Shady Lane Nursing Home in Manitowoc for the kindness and compassion shown to Doris during her brief stay there.